by T.J. Harper, DMA, teacher and conductor. The Riga Cathedral Girls’ Choir (RCGC) is the premiere ensemble of the Riga Cathedral Choir School, which was founded in 1994. The singers, who range in age from nine to nineteen, display tremendous vocal technical facility and their attention to detail is at times astonishing. Under the direction of Artistic Director Aira Birziņa since 2000, this ensemble has toured throughout Europe and has won numerous awards for excellence in choral performance. In their debut recording, Jubilatio, the Riga Cathedral Girls’ Choir presents a rich diversity of sacred compositions from the early Renaissance with Ave Regina Caelorum by Guillaume DuFay to modern compositions like the four-movement Missa de Spiritu Sancto by Rihards Dubra, and O Salutaris Hostia by Ēriks Ešenvalds. The rich assortment of choral offerings in this recording includes a small number of familiar selections like Sound the Trumpet by Henry Purcell, and The Lord Bless You and Keep You by John Rutter. Rather than diminish the overall quality of this recording, these familiar works provide increased awareness of this CD’s central tenet: to have faith is cause for celebration. Jubilatio is a celebration that opens the door to a complex musical exposition of faith through the lens of three cornerstone concepts: supplication, praise, and glory. The entire CD allows the listener to enter into a thoughtful exploration of faith where they are never pulled too far from these three conceptual cornerstones, which serve to enlighten and inspire, never to condescend or judge. 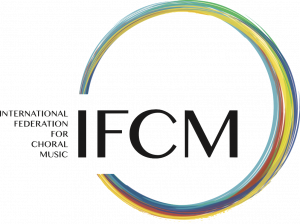 The second cornerstone concept, faith and praise, is represented by a tremendous diversity of composers. There is a vocal vitality in these selections that benefits from the youthful vigor and brighter sonority of the Riga Cathedral Girls’ Choir. Sound the Trumpet by Henry Purcell (1659-1695), is brought to great life and is extremely effective in its musical phrasing and in conveying a clear sense of celebration. The second Marian antiphon on this recording, Ave Regina Caelorum by Guillaume Dufay (1397-1474), is sung with confidence marked by rhythmic precision and clarity. Rounding out the earlier works, Ecce Maria by Michael Praetorius (1571-1621), is the third selection in this collection devoted to Mary and is performed with a power and sensitivity not often observed in this setting. Laudamus in Domine by Ieva Alenčike (b. 1976), sings well and maintains an appropriate sense of vitality. Greatest and last of all the psalms, is Psalm 150, Laudate Dominum. Composed by Rihards Dubra (b. 1964), this is a very compelling treatment of the litany. Accompanied by accomplished organist, Vita Kalnciema, The Lord Bless You and Keep You by John Rutter (b. 1945), reaffirms the strength of conviction through the thoughtful use of unassuming organ registrations that convey an almost staid imagining. Representing the third cornerstone concept, faith and glory, the following works are performed with emotional substance informed by thoughtful phrasing and a clear understanding of the text. Gloria by Danish composer Michael Bojesen (b. 1960), is a succinctly nuanced tripartite composition that captures the essence of the resurrection text. Composed for the Riga Cathedral Girls’ Choir, Exsultate Deo by Vytautas Miškinis (b. 1954), brilliantly captures the complexities of the resurrection text while simultaneously showcasing the vocal abilities of the ensemble. Finally, composer Rihards Dubra is featured again with a composition that brings all of the Jubilatio concepts of faith (supplication, praise, and glory) together in his Missa de Spiritu Sancto. The performance of this missa brevis is reason enough to add this CD to your collection. Dubra’s musical sensibility and textual comprehension combine to create a compositional voice that is rooted in tradition and still speaks with an authentic voice. Scored for organ and women’s choir, this four-movement work (Kyrie-solemn and mysterious, Gloria-hymn of praise, Sanctus-acclamation and honor, Agnus Dei-supplication) is appropriately a celebration that skillfully balances the organ with the choir. The RCGC possess a youthful vitality and a rare sense of maturity that brings this work alive. The members of the ensemble are to be commended for their exemplary vocalism and dedication to each composition. Artistic Director, Aira Birziņa and organist Vita Kalnciema have collaborated to great effect and realized the full potential of this work. 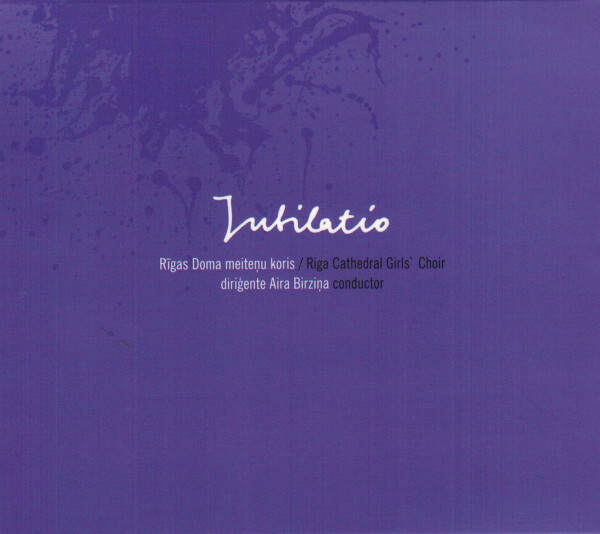 Jubilatio was collected from recordings made in 2011 and 2012 at the Riga Cathedral. Built in 1211, the cathedral boasts architectural offerings from the Gothic, Romanesque and Baroque periods. The acoustic is obviously reverberant and bright, but does not obscure aural clarity for the voices or the organ. Of special note is the Riga Cathedral Walcker organ famous throughout Europe, which has 124 stops, 4 manuals, and 6,718 pipes.